All homes need a great vacuum cleaner, but add in a kids and pets and you need a vacuum that can stand up to the task! The Shark Rocket Complete with DuoClean Technology Vacuum delivers! It is made to clean floors and carpets, whether it has small, large, or stuck-on messes. 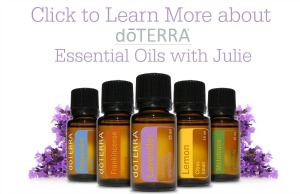 Plus, it cleans everything from upholstery to ceiling vents and even the car! It’s no wonder that the Shark Rocket Complete is a Powered by Mom Holiday Gift Guide Pick! The Shark® Rocket® Complete with DuoClean™ Technology has the power of two distinct brushrolls spinning in unison to remove dirt from carpets and bare floors of every type. The dirt that gathers on floors and in carpets comes in three sizes – small, large, and stuck-on. Cleaning all three can be a real challenge for an ordinary vacuum. With Triple Particle Cleaning™, there’s no need to rely on dustmops and brooms to get the dirt left behind. Now, we are super excited to bring you an opportunity to win one of these amazing Shark Rocket Complete vacuum cleaners! Don’t wait! Get your entries in! 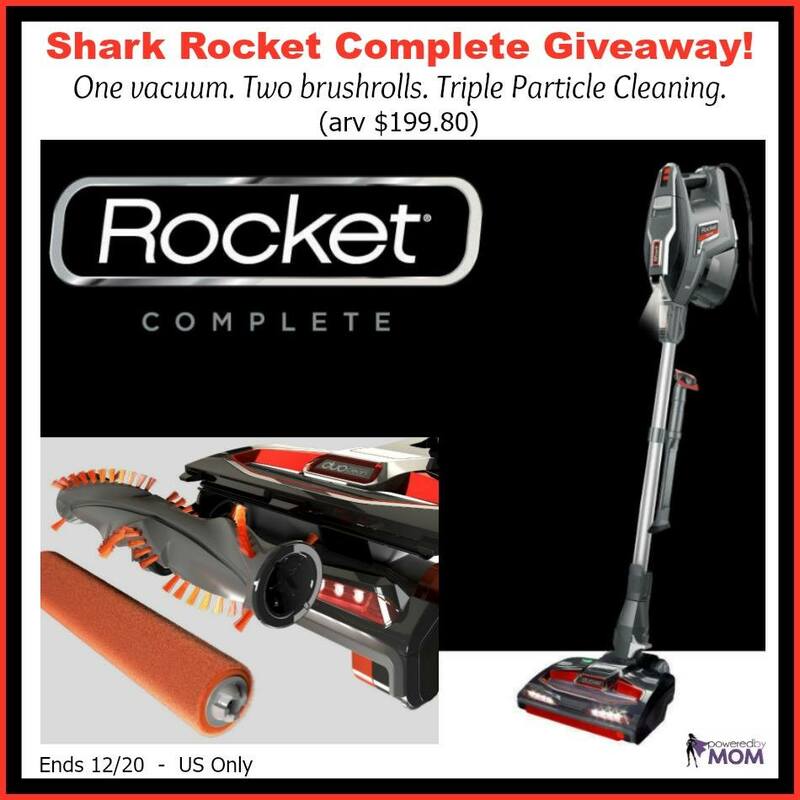 Shark Rocket Complete Vacuum (arv $199.80)! The swivel steering is a nice option. This would be handy to do quick dog hair clean up. Plus I just noticed my bathroom fan needs a clean & then I read about this. Perfect!! A Quick Release Foot Pedal. Our current vacuum requires Herculean strength to get the beater head off. And, it weighs a ton. Washable Filters is nice so I don’t have to buy filters. My favorite feature is the Advanced Swivel Steering. My favourite feature is the DuoClean™ Technology which I think would be way better at picking up than what I have now that just flings dirt in one direction. 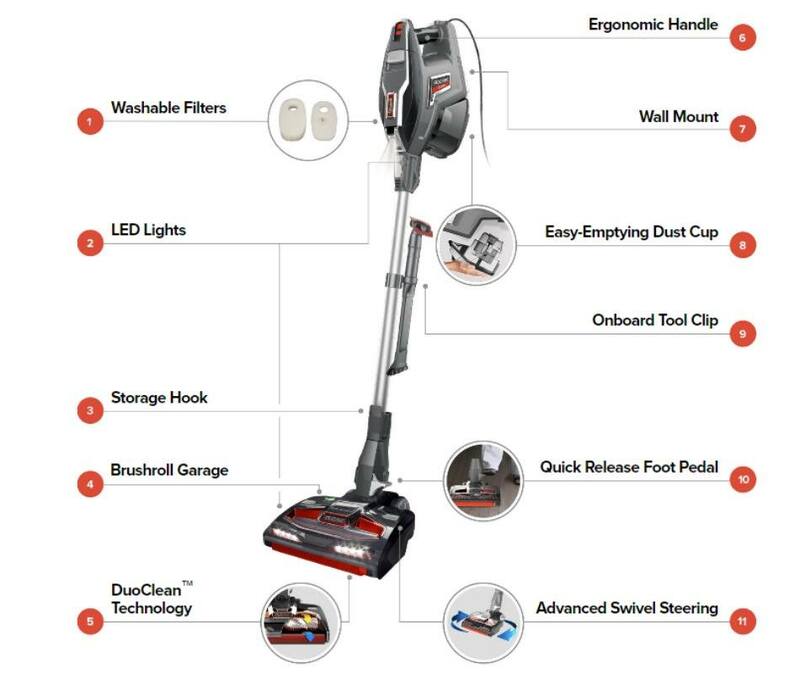 I love this machine, the Shark Rocket Complete Vacuum is powerful on both carpet and wood floors; thanks to its duo clean technology, suction has never been loss with its powerful motor.